It’s nice for your work to be something that you enjoy and love. If you have a passion like this, why not create a business around doing the things you truly love doing? You can start by showcasing your skills, expertise and talents through social media. Social profiles and business page creation is free of charge, and everyone can post anything they like as long as it follows the website’s guidelines, terms and conditions. Instagram is becoming a popular social stream for photo sharing. What we love about this app is its user-friendly platform to instantly post an image in just a few taps. One doesn’t need to be a social media guru to make it work. 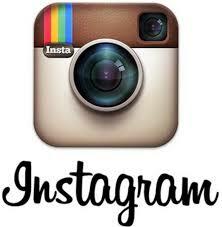 Simply open Instagram on your phone or tablet, take a picture or browse your photo library and click upload. Viola! Your photo is available for viewing. If you have the passion for photography, upload photos of different landscapes, sceneries, captured moments for photos that showcase your skills. If you’re blessed to have a green thumb and love to make terrariums, upload a few demos of your work. Do you love to bake? Try to sell cookies and pastries online! If people love what they see, they will like, comment on your photos and share with their friends. If they’re interested in your services or products, they will ask you either through comments or direct messages. Instagram requires registration. You can sign up using a dedicated email for your start-up business or you may register using your Facebook account. The pros of registering your Facebook account is that your friends who are using Instagram can easily see your profile and add you without having to send them an invite. Instagram allows a user to change usernames whenever you please. Of course, if you’re establishing a brand, you may want to pick a username that says something about your products. Usernames can be something personal, your business name or something to do with the service or product you make. Fill out necessary details to your profile. There’s a section that can be used to describe the account. Take this opportunity to say something about your products and services. You can also use this section to add your contact information and other important information. If you have a blog or a business website, you can also use that section to promote your site. Because you’ve signed up on Instagram to promote your passion, it’s best to set it for public viewing. Anyone who’s on this photo-sharing app can see your feed, photos and profile. If you set your account as private, only people that are your approved followers can view it. Post something that can capture the interests of many. People like to see new photos about you, your products, landscapes, scenery, gardens, food and other events. Anything that can creates interest and engagement is desirable. If they see your gallery of products or goods and appreciate your work, they may follow your account. As a starter, it’s also advisable to follow them back. Using multiple hash tags on Instagram does not hurt or harm anything. Try to be discreet and only use relevant hash tags that have something to do with the image you posted. There’s also etiquette and boundaries on using these, so be sure not to overdo it. Repeat steps 5-6 on a daily basis. Follow back and like other’s pics as well. These tips will enable your business or service to get attention. In no time, you’ll be building a new follower base that is actively participating and engaging to your feed. Have fun sharing!